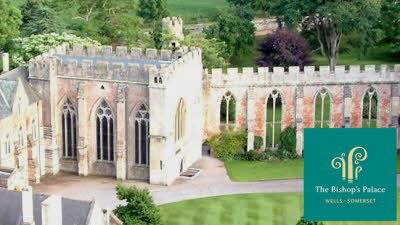 We are a quiet rural park set in the quaint hamlet of Launcherley overlooking the medieval city of Wells 1.5 miles away, which has a unique charm all of its own. The site is surrounded by a captivating range of spectacular views; Wells and its Cathedral set against the backdrop of the Mendip Hills, Glastonbury Tor amidst the Somerset levels and mystical moors, or the lovely Launcherley Hill. All set in beautiful rural countryside in an Area of Outstanding Natural Beauty. We welcome all caravans, smaller motor homes, awnings, children, but sorry - no pets. The site is grassed and mainly level. There is a hard-standing enclosed service area for drinking water, recycling, general rubbish, chemical waste point and grey water disposal. There are also many fascinating historical buildings, that form part of the heritage trail through Wells, as well as many varied and picturesque walks in the area. Cycling routes, including SUSTRANS route No 3 that runs along the Stawberry Line (a traffic free route across Somerset) passes within a mile of our site, linking our local villages, all waiting to be explored right outside our gate. We are also close to an amazing variety of local attractions, festivals (inc Glastonbury festival) and activities are plentiful. Please view our website for more details of local events as well as availability and also the facility to book and pay on-line. The nearest public footpath is approximately 500yds further along the lane linking you directly to the heart of England’s smallest city Wells, approximately 1 mile and 25 mins walk. Wells has a charming and varied selection of cafes, restaurants, pubs, take-away’s and shops to look at, as well as a 18 hole golf course. Wells offers many attractions including Wells Cathedral, Vicars Close, St Cuthbert’s Church, the Bishops Palace, moat and gardens, and the Wells & Mendip Museum. The surrounding area also provides a wealth of interesting things to see & do, including Glastonbury Tor, the Abbey, and a rural life museum plus the ancient Chalice Well. Then there are Wookey Hole Caves, Cheddar & Cheddar Gorge, the Bath & West Showground hosting a varied selection of special events plus many more places. For shoppers Clarks village is 15mins away with over 90 shops of discounted merchandise including their quality shoes. The Fleet Air Arm Museum and the Haynes motor museum are roughly 30 mins away. Further-a-field there is also the Georgian city of Bath the Roman Baths and Thermae Bath spa or Bristol with its Malls and large selection of shops, restaurants and theatres. Longleat and its safari park are also an amazing day out and all only 45 mins away. Also, for the more adventurous there is a long list of exciting activities at 'Mendip Outdoor Pursuits' for children and family fun. Or for a more relaxing time, there are 4 RSPB reserves near-by. The CL is run by the owner Nina who is happy to help you with anything you may require. 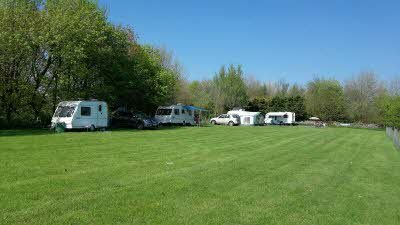 Booked into Primrose caravan park for two nights initially, but ended up staying a week. Beautiful site with stunning views of the surrounding countryside. Very well placed for exploring Somerset. Thank you Nina. We had a lovely weeks stay at Primrose caravan park. 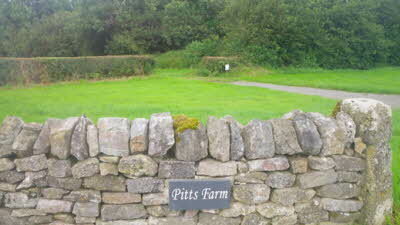 Very nice mile and half walk to Wells excellent location for exploring the area. Tina was very nice and helped us all she could. We will definitely be back as there is so much more to see in the area. Their website makes booking specific pitch a possibility. Chose just the right one for us. Lovely welcome from the family, including warm cake! Nina explained what was around and we used her recommendation to use a peaceful Sustrans cycle track into Wells. We also used her's (and her daughter's) recommendation for where to get pizza and ice cream in Wells. Just follow their advice and you won't be disappointed. 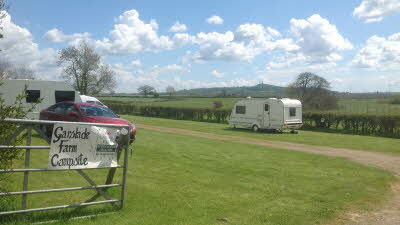 The site has great views of Wells, Glastonbury Tor and so on as described on their website. Very peaceful and relaxing. The CDP and recycling facility is very clean.